While heart disease is on the rise, CPR can help save lives. According to theAmerican Heart Association, more than 350,000 out-of-hospital cardiac arrests occurred in 2016. Sadly, 88% of people who suffer from a cardiac arrest outside of the hospital die. However, when properly and promptly performed, CPR can dramatically improve person’s chance of survival. Cardio Partners is a trusted nationwide CPR training center. 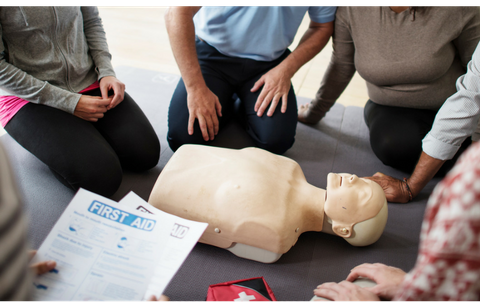 We offer CPR, First Aid, AED, and bloodborne pathogen training courses in all 50 states in traditional classroom settings and in blended learning courses. To learn more about our courses or to schedule a training, call our team at 866-349-4362 or email Cardio Partners atcustomerservice@cardiopartners.com. We’d love to hear from you!